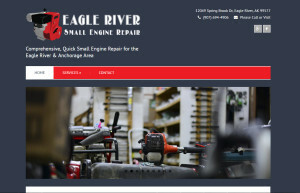 Eagle River Small Engine Repair serves the Eagle River and Anchorage, Alaska area for all small engine repair needs. Their work is 100% guaranteed and there’s no appointment necessary. Customers can simply show up, making ERSER one of the best shops around for small engine repair and sales for used lawn mowers, chainsaws, snow blowers and more. They invite you to drop on by with your small engine power equipment. They’ll take care of the rest. They even provide pickup and delivery service if requested. Repair time averages a short 2 to 3 days, but if you can’t wait or need a piece of equipment quickly, consider purchasing used equipment from their used equipment lot. According to Eagle River Small Engine owner John Trescot, all power equipment has been serviced and maintained, and is guaranteed to get the job done. Eagle River Small Engine Repair services and repairs push and riding mowers, snowblowers, trimmers, weed wackers, chainsaws, generators, power washers, leaf blowers, outboard engines and any other small engine powered equipment. This particular client was somehow able to create a lucrative business without the use of a website for many, many years. Eventually, however, they came to realize an ever-changing population needed more options for locating a small engine repair shop in the area. 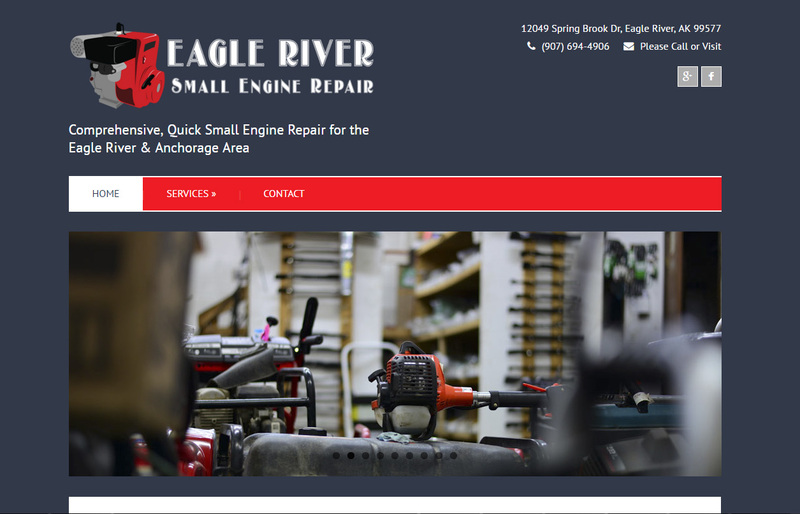 AKSYS is pleased to announce the launch of a new website dedicated to small engine repair in Eagle River with service for Anchorage and the surrounding area.